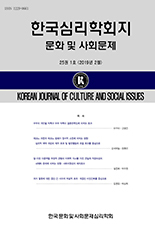 박영신, 전성숙, 손주연, 박영자, 송옥란, 쩜,(2016).청소년의 스트레스와 사회적 지원에 관한 연구.한국심리학회지: 문화 및 사회문제,22(4),487-522. 이 연구의 주된 목적은 한국 청소년의 스트레스 경험에 관련된 지각을 살펴보고, 스트레스 상황에서의 사회적 지원을 분석하는데 있다. 이를 위해 학교급별로 스트레스 생활사건과 증상, 사회적 지원 제공자와 유형을 살펴보았다. 분석대상은 청소년 952명(초 219, 중 280, 고 212, 대 241)이었다. 스트레스 증상의 신뢰도는 Cronbach α계수 .88, 질적 분석에 대한 채점자 간 신뢰도는 89.6%, Kappa계수가 .87이었다. 분석결과는 다음과 같다. 첫째, 청소년의 가장 대표적인 스트레스 생활사건은 학업이었으며, 그 다음으로 진로/취업, 가족관계, 친구관계, 역량부족, 경제적 어려움의 순서로 나타났다. 학업 스트레스는 고등학생이, 진로/취업 스트레스는 대학생이 가장 높았다. 둘째, 청소년의 스트레스 증상은 학교급별로 차이가 있었는데, 고등학생이 가장 높고 초등학생이 가장 낮았다. 셋째, 사회적 지원 제공자로 친구가 가장 대표적이었으며, 그 다음으로 자기자신, 부모, 교사, 형제자매, 선후배의 순서로 나타났다. 초등학생에서 대학생으로 됨에 따라 친구 및 선후배의 지원이 증가했으나, 부모의 지원은 감소했다. 넷째, 사회적 지원 유형으로 정서적 지원이 가장 대표적이었고, 그 다음으로 없음, 조언, 직접적 문제해결, 대화의 순서였다. 모든 학교급별에서 정서적 지원을 가장 많이 받았으며, 초등학생에서 대학생으로 됨에 따라 조언은 증가했고, 직접적 문제해결은 감소했다. The main purpose of this research is to investigate Korean adolescents’ perception of stress experiences, and related social support. To this end, adolescents were asked about stress events, as well as stress symptoms, in their lives. Also, the adolescents were asked about the people that provided social support and the types of social support provided. The participants were 952 Korean adolescents (Primary 219; Middle 280; High 212; University 241). Among the four measures (stress events, stress symptoms, social supporters, and types of social support), the measure of stress symptoms yielded a reliability of Cronbach α=.88, while the remaining three measures yielded an inter-judger reliability of 89.6%, Kappa=.87. The results were as follows. First, for stress events, the most frequent responses were related to Academic Achievement, followed by Career/Job, Family Relations, Friend Relations, Lack of Capacity, and Financial Difficulties. For high-school students the most frequent responses were related to Academic Achievement, while for university students Career/Job. Second, for stress symptoms there were significant differences among the groups, in that the high-school students showed the highest level of symptoms, while primary school students the lowest. Third, for social supporters, the most frequent responses were related to Friends, followed by Myself, Parents, Teacher, Siblings, and Seniors/Juniors. As the groups aged (from primary to university), support from Friends and Seniors/ Juniors increased, while support from Parents decreased. Fourth, for the types of social support, the most frequent responses were related to Emotional Support, followed by None, Advice, Supporter Directly Solved Problem, and Talked with Me. The highest frequencies of responses were found for Emotional Support among all groups. As the groups aged (from primary to university), Advice increased while Supporter Directly Solved Problem decreased.